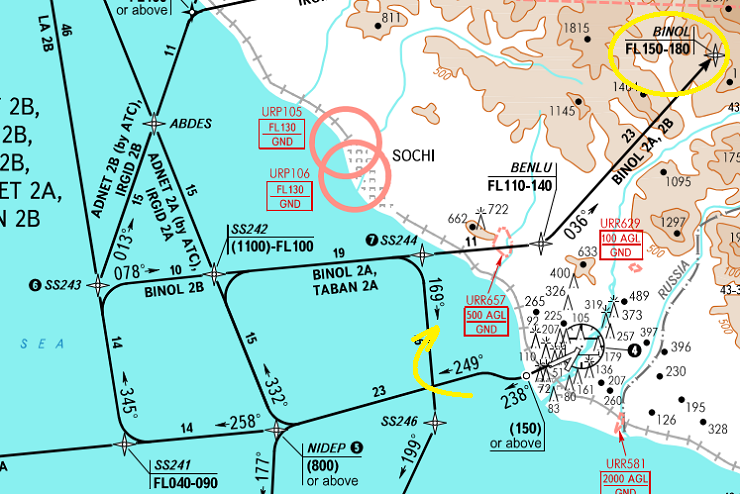 The Aircraft was climbing out of Sochi-Adler Airport when it lost height and crashed into the Black Sea. There were no survivors among the 92 on board. 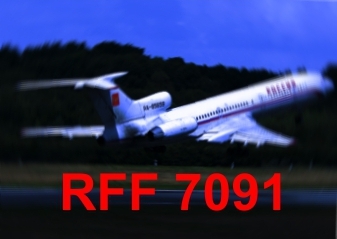 Shortly after take-off from Sochi-Adler Airport in fair weather conditions, flight (Russian Federation Force) RFF 7091 disappeared from radar. Under still unclear circumstances the aircraft lost height and impacted water about 1,5 kilometers off coast, disintegrating on impact. The wreckage sank to a depth of about 70 meters. After sunrise, floating wreckage was spotted by boats and planes about 3 km off shore. 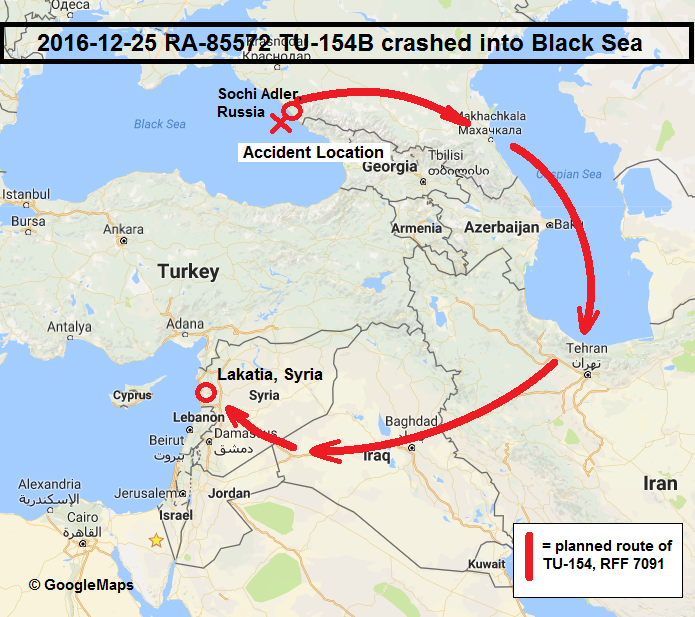 The planned flight route from Sochi (URSS) to Lakatia (OSLK) was to evade Turkish airspace and to proceed eastbound Azerbaijan, the Caspian Sea, Iran and Iraq to enter Syrian airspace from the south. It is believed there were no survivors. Maritime search and rescue operations are ongoing. The mission involves 27 ships and 4 helicopters and two aircraft. The main wreckage was located but flight recorders were not equipped with locator beacons. According to media information, on board were 92 people: eight crew members and 85 passengers, including 68 artists of the Song and Dance Ensemble Alexandrov accompanied by nine Russian journalists. According to a military press report, the aircraft has only flown 6689 hours since it was manufactured in 1983. The pilot-in command was experienced, the 2nd pilot has a flying record of 3,500 hours. Last routine maintenance on RA-85572 was carried out on SEP 2016. Last heavy maintenance was carried out in DEC 2014. Three days after the accident both black box devices have been brought up from the sea bed by a Russian Navy vessel. Flight 7091 was due to proceed via waypoints BINOL and GUBOR during its climb to a final cruise level of 27,000 ft. 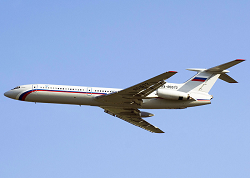 The Tupolev Tu-154 was last known belonging to 223rd Squadron based in Chkavolsky Air Base near Moscow. 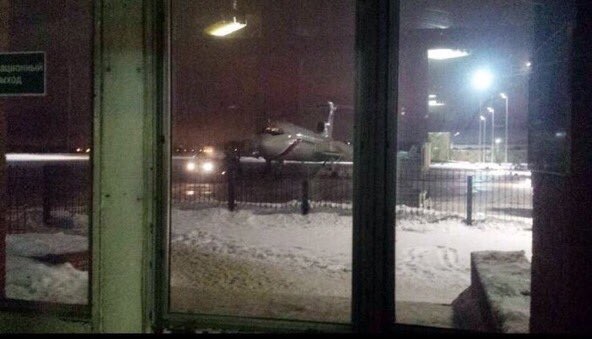 The accident aircraft (Supposed to be RA-85572) during boarding at Sochi Airport. 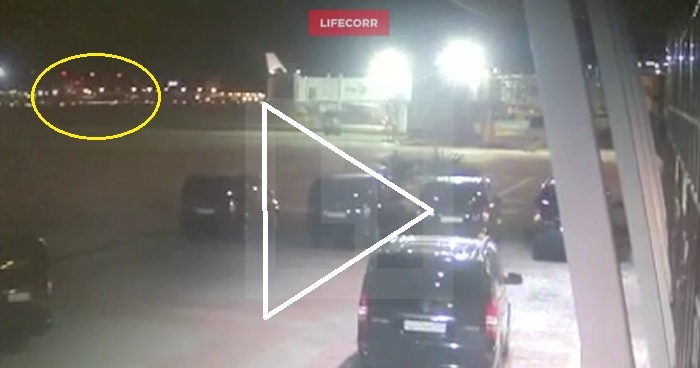 Final take-off from Sochi captured by webcams. 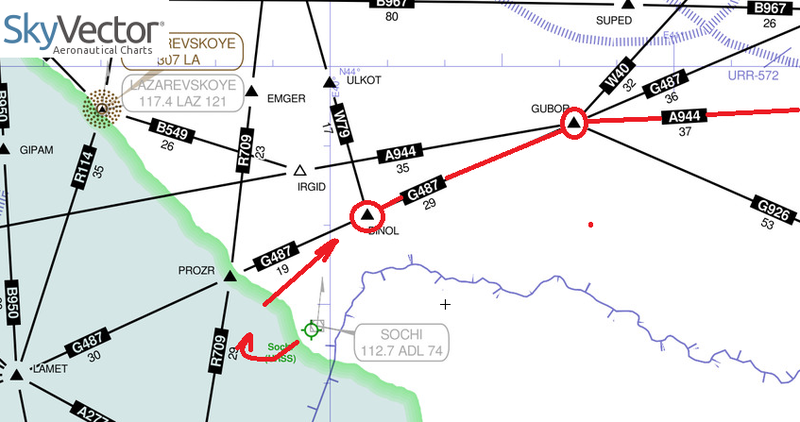 Search and Rescue operations are underway about 3 km off coast Sochi. 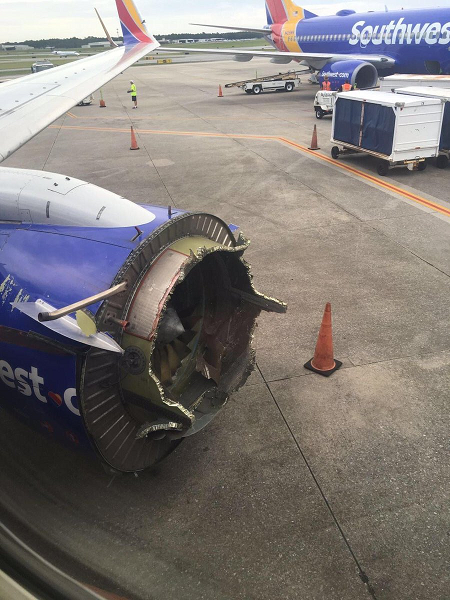 During cruiseflight, the aircraft experienced a catastrophic failure of its left engine. The pilots managed to make an emergency landing at Pensacola, FL. Southwest Flight WN 3472 took off from New Orleans Intl Airport (MSY, KMSY) at 09:10L on runway 01 and made a normal climb-out to its assigned en-route altitude. 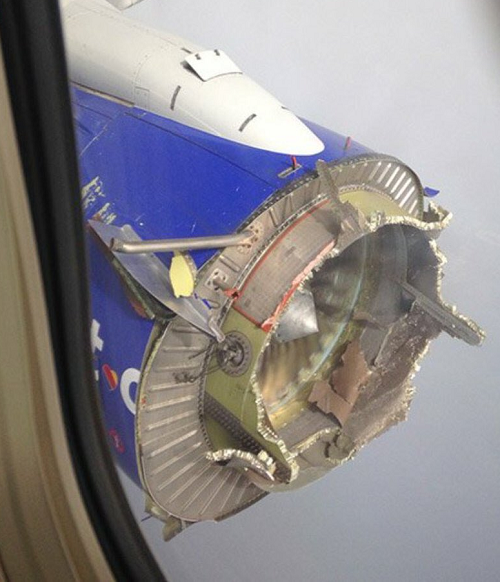 While the 737 was climbing through 31.000 ft, heading east over the Gulf of mexico, approximately seven miles south of the western tip of Horn Island, a catastrophic failure of the foreward casing of the left engine (model: CFM-56-7B24) took place. 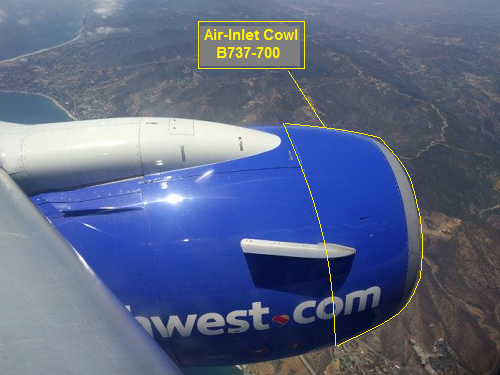 About 12 minutes after departure, the air-inlet cowl detached, broke away and plummeted into the sea. The pilots immedately dicontinued their climb and initiated an emergency descend. There is indication that oxygen masks were deployed to passengers and crewmembers. 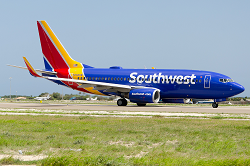 The flight was given vectors for an emergency landing at Pensacola Airport, FL where the 737 touched down safely on runway 17 about 20 minutes later. However, post-flight inspection revealed damage to the wing section close to the engine pylon and debris impact damage to the aft fuselage.